Sometimes the local bar or club scene can be a tough place to meet people. You want to stand out in the crowd, be approachable, and have a great time talking to interesting fellow singles, but it’s just not that easy. Women can intimidate men to the point that they don’t even bother approaching a lady they find attractive. The fact is though that most women like to be approached. They welcome it! You know what makes a fun ice breaker? A Curioso Cuff. 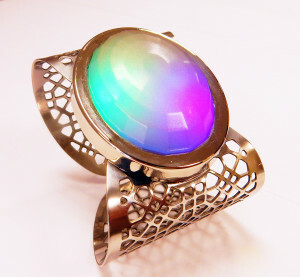 This light up fashion bracelet is going to turn heads. Not only is it beautiful on your wrist, but it acts as a conversation starter that people you want to meet will comment on. Anything to get the conversation rolling, right? It even has three interactive settings to customize your experience. So other than this unique fashion piece, here are some other ways to start flirty chatter for your next night out.